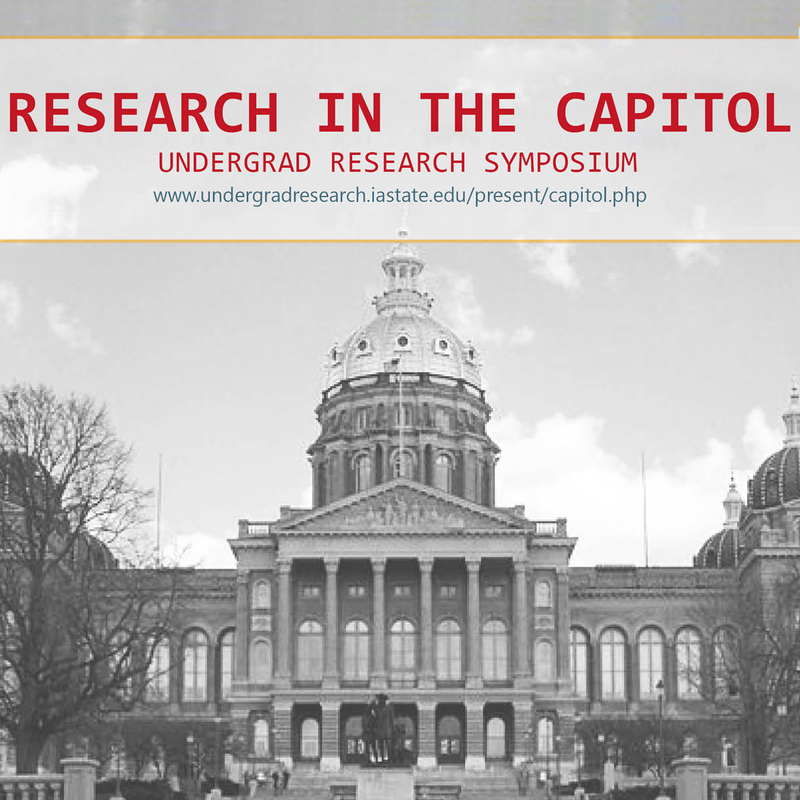 AMES, Iowa — Three teams of undergraduate students from the Iowa State University College of Design are among those selected to represent Iowa State at the 13th annual Research in the Capitol event from 11 a.m. to 1:30 p.m. Tuesday, April 3, in the rotunda of the State Capitol building in Des Moines. More than 60 undergraduate students from Iowa’s three Regent universities (Iowa State, the University of Iowa and the University of Northern Iowa) will display their research posters and describe their work to legislators and others at the annual event, which highlights the importance of research to the undergraduate learning experience as well as the depth and variety of research being done. Interior design students Katelyn Judson, Altoona; Hunter Kennedy, Coeur d’Alene, Idaho; Kristian Kennedy, Clear Lake; and Jaclyn Montour, Carlisle, will present “Community Revitalization and Interdisciplinary Design: Rehabilitating Historic Buildings to Conserve Cultural Heritage.” Their mentor is interior design Assistant Professor Diane Al Shihabi. The interdisciplinary team of Kaylinn Taggart, Council Bluffs, architecture and community and regional planning; Zach Thielen, Dubuque, architecture; and Laura Michaelson, Dakota Dunes, South Dakota, mechanical engineering, will present “A Mobile Diagnostics Lab for Interdisciplinary Climate Research.” Their mentor is architecture Associate Professor Ulrike Passe. The interdisciplinary team of Matt Lechowicz, Dyer, Indiana, architecture; James Weatherly, Lebanon, New Hampshire, community and regional planning; and Hannah Fisher, Coggon, agriculture and society, will present “Quality of Life in Iowa’s Thriving Small Towns.” Their mentor is architecture Associate Professor Kimberly Zarecor.